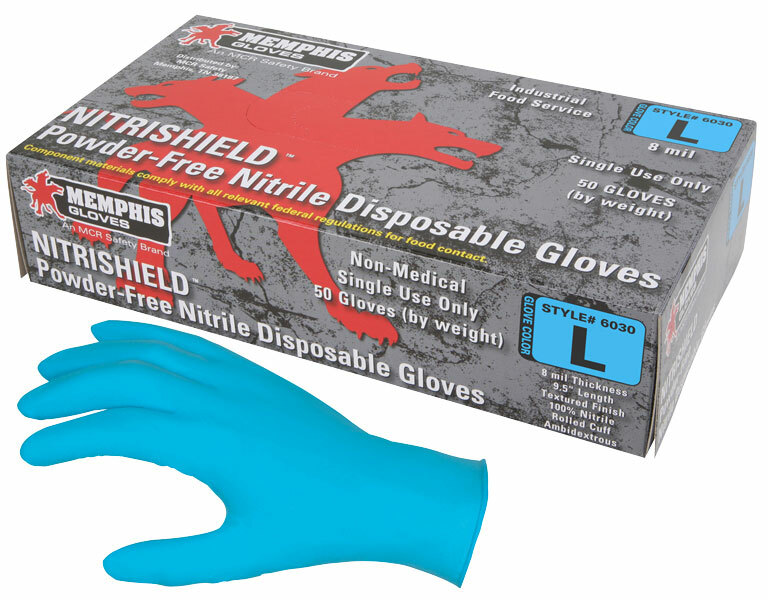 Nitrile gloves contain no latex proteins and offer excellent resistance to punctures and tears. Nitrile gloves are three times more puncture resistant than rubber and can be used to offer superior resistance to many types of chemicals. This glove is an excellent alternative for individuals who experience allergic reactions to latex. The 6030 is a industrial / food service grade powder free nitrile glove that measures 8 mil in thickness and is 9.5 inches in length.